It was the type of game the Arizona Wildcats literally hadn’t won all season. Arizona defeated Cal 4-2 Sunday afternoon at Hi Corbett Field after dropping the first two games of the series. 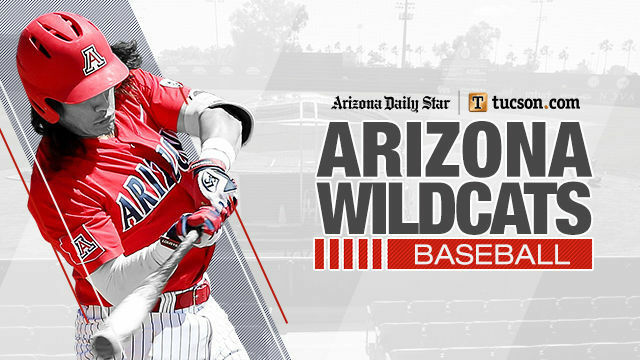 It was the first time the Wildcats have won in 2019 when scoring fewer than seven runs. They had been 0-10 when scoring six or less. “I want to be able to win all kinds of ways,” UA coach Jay Johnson said. “This is actually the first team we’ve had that hasn’t been able to do that. I think there’s some value in that. The next two weekends represent a steep challenge for a team that’s 18-16 overall, 6-9 in the Pac-12 and not even on the bubble for the NCAA Tournament at the moment. Arizona visits No. 7 Oregon State, the defending national champion, for a three-game series starting Thursday. OSU just took 2 of 3 from Arizona State in Phoenix, allowing 11 total runs against the conference’s most powerful offense. After returning home to face Grand Canyon, the UA travels to No. 2 Stanford. The Cardinal are coming off a sweep of Washington, where they allowed five runs in three games. The Wildcats will need stellar pitching and defense to have a chance. They showed Sunday that they’re capable of it. Junior left-hander Andrew Nardi threw six scoreless innings, allowing seven hits and striking out six. He earned the win to improve to 3-3. Senior lefty Avery Weems picked up his second save in as many Sundays. He allowed one run over the final 2⅓ innings. Weems got significant help from his teammates. With Arizona leading 2-1 in the top of the eighth, Cal’s Sam Wezniak smacked a 1-1 pitch to left-center. Center fielder Donta Williams sprinted after the ball and snared it with a headfirst dive. The next batter, Grant Holman, hit a line drive to the right of shortstop Cameron Cannon. Cannon, who has struggled defensively, made a diving grab of his own. Arizona tacked on two much-needed runs in the bottom of the eighth. Matthew Dyer slugged a solo home run to left, his third of the season. It was the Wildcats’ first hit since the third inning, when they scored their first two runs. Two walks, a hit batsman and a wild pitch produced another run. With the score 4-1, Cal’s superstar first baseman, Andrew Vaughn, couldn’t come up in the ninth representing the tying run. Cameron Eden led off the ninth with a solo homer to center. Weems then struck out Vaughn, who entered Sunday hitting .359 with 10 home runs and had gone 6 for 10 in the series. Max Flower’s single brought the tying run to the plate, but Weems retired Darren Baker on a groundout to first to end the game. Nardi has pitched well in three of his past four starts. In his last two outings, he has allowed three runs and struck out 16 in 11⅔ innings. Nardi didn’t think he had his best stuff Sunday, but he battled when he had to. The Golden Bears (19-12, 7-5) had runners on first and third with two outs in the top of the fifth, but Nardi struck out Max Flower swinging. Winning only 1 of 3 at home against Cal wasn’t what Arizona had in mind coming off a sweep of Washington. But as Johnson noted, the Wildcats have won five of their past seven. And they’re playing better than they did at the end of March, when they lost seven in a row. Sunday marked the fourth time this season Arizona has allowed two or fewer runs. The Wildcats are 3-1 in those games. Freshman outfielder Branden Boissiere went 2 for 4 with an RBI. He had seven hits in 10 at-bats in the series, raising his average from .130 to .303. Freshman Austin Wells had a double and a walk in four plate appearances, extending his on-base streak to 28 games. It’s the longest streak by a Wildcat since Nick Quintana reached safely in 28 straight games in 2017. Dyer leads the team in batting average (.397), on-base percentage (.487) and slugging percentage (.603).